More "Starchitecture" ? Does the reputation of innovation and "BIG-ness" precede the content and contextualizion of the participants and the inputs of the (local) actors-networks? Charles Birnbaum, founder and president of the Cultural Landscape Foundation, makes the case that historical preservationists are finally waking up to the glories of modernist landscape architecture. 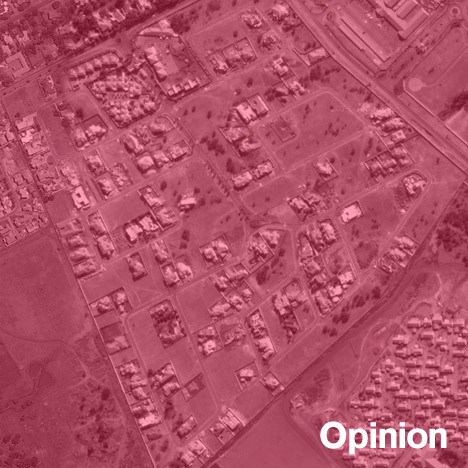 Urbanism should be second nature, not bound by jargon or complex activities. How most of us feel after a while – lets just live in our city! The latest instalment of Cityscapes, the hybrid current affairs and culture magazine devoted to “re-thinking urban things”, will be launched in Cape Town on 27 March 2013. Featuring interviews with Lagos governor Babatunde Fashola and novelist Imraan Coovadia, the bumper 140-page third issues has as its thematic focus the “smart city”. Also included in the latest issue of Cityscapes: an intimate account of living in the Nairobi slum of Kibera; a description of Sao Paulo’s oppositional graffiti cultures; a fond appraisal of the career of legendary Indian filmmaker Satyajit Ray; a look at Kigali’s ambitious master plan; a profile of artist Theaster Gates; a speculation on the city without the automobile; and a photo essay describing life in Kowloon, the famous Hong Kong tenement slum demolished in the early 1990s. How can rural dynamics be employed to adequately cope with the global challenges that we are currently facing and how can these challenges once again turn rural areas into a system that works? 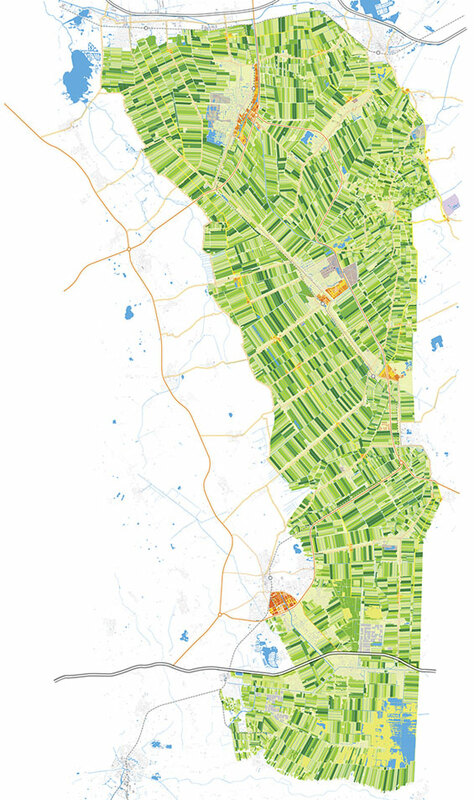 The Veenkoloniën (Groningen peat district) is a rural area in the North of the Netherlands that is facing a number of major economic, social and ecological challenges. As an agricultural area, the region is part of a global system. Consequently, its challenges are not caused by internal factors, but by the global food system and this system’s impact on the area, i.e. the social, economic and ecological environment that it creates. 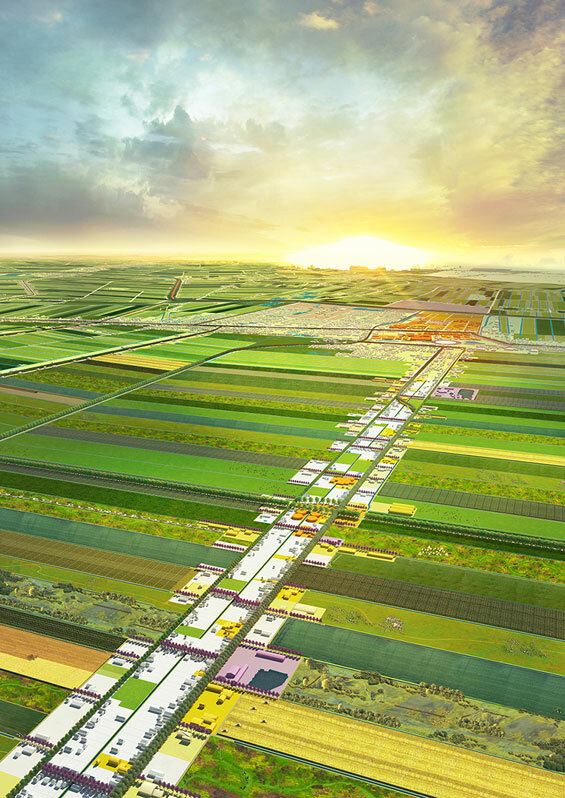 The new agricultural model requires a new production system: an intelligent seven-year crop and livestock rotation that integrates temporary nature areas. Processing is divided into a cooperative network of local, regional and national processing hubs: a choice is always made between transport costs and the benefits of scale. This results in development opportunities at all levels of scale and renewed social significance for the food industry. The infrastructure network is adapted to facilitate these new development opportunities and to ensure that the production area can once again be accessed and experienced by both consumers and producers alike.